Be comfortable in your first home and achieve lower energy bills. Sounds simple … it is when you know how! You will soon be the owner of your first property. It is important that you do all that you can to save energy. We help you by providing 4 important helpful hints. Use the Home Energy Check from the Energy Savings Trust (http://hec.est.org.uk/) Comfortable in your new home and achieve lower energy bills. Simply enter a few details below and instantly compare online energy suppliers for your new home online now. Using some of these suggested websites and companies, you can quickly and easily compare prices for gas and electricity, but also switch your service online. Quite often by going direct to a new energy supplier or switching energy directly with a new supplier, you can receive added benefits, rewards and bonuses. Take a look at a few of the suppliers below and see if they can save you money on your gas and electricity bills. SSE is one of the largest energy suppliers in the UK, supplying over 10 million customers with gas and electricity in their homes. All of their call centres are based in the UK which is great for customer service. Save money and get a quote from SSE for your gas and electricity supply. 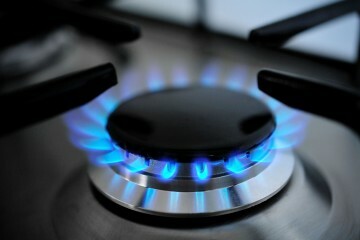 Trust M&S Energy to look after your gas and electricity supply for your first home. A great trusted brand working with SSE (SSE Energy Supply Limited) to provide fair and competitive energy tariffs for your home. Receive up to £200 of M&S rewards when you switch or organise your energy with M&S Energy today. In order to save money on your gas and electricity, it is important you know how much you are using and exactly what is using the supply. Using a smart meter, you can begin to understand your usage levels and how you can cut certain appliances or activities to save money. Smart Energy GB are involved in the national rollout of smart energy meters throughout the UK. A smart energy meter can help you save money on your gas and electricity bill by monitoring your usage in your new home and showing you where you can make cuts and savings. It is an optional programme, but every home will be offered a smart energy meter between now and 2020. It will help you take charge of your energy usage. See if your windows or doors are letting a draught in – Consider double glazing. Is your loft or new home insulated? – Consider looking into new loft insulation or cavity wall insulation. Most energy suppliers can arrange this for you. Energy saving light bulbs and electrical goods from EnergyBulbs.co.uk. A great selection of energy efficient lighting solutions for your home. Outdoor, Indoor, Sensor lights and more. Save 5% off of your order when you visit their website from First Time Buyer and signup to their email newsletter.